Our 2011 Holiday Running Streak is nearly over--just three runs left, after today's!--and we've been so impressed with the huge response to our challenge. In addition to the streakers we initially introduced, and those you met two weeks into the challenge, even more bloggers have been filling the internet with tales of their #RWRunStreak. Got some time to kill at work? (Let's face it--there's not much work to be done this week, anyway.) Check out these streak-inspired posts. Have you seen one we missed? Leave it in the comments. "With 27 days left in 2011 – which means 27 days of running, thanks to my run streak – I need to average just under 3 miles per day to meet my goal. I think that’s totally doable, especially considering that on the weekends, I typically get in at least one longer run that will bring up my average considerably. 1000 miles or bust!" "I’m not going to lie, I kind of, sort of, love this challenge way too much. There’s no hemming and hawing over whether or not to run today. The answer is already decided." "I’m holding strong with my run streak. Yesterday morning I got out and got it done first thing in the morning. It was quite lovely actually." "I'm giving all of the credit for my 4 mile PR today to the Runners' World Holiday Run Streak! Since Thanksgiving, I've been running at least 1 mile per day, and it is paying off already!" Running Because I Can - David H.
"In these last two weeks I’ll continue to hit milestones I’ve never seen with the most miles ever in a year and my most consecutive running days." "I really didn’t want my streak to end but since it was late and our stomachs were full I didn’t think it would be possible to get our mile in. Mike came to the rescue and decided we would drive to Ocean Avenue and run along the street which overlooks the ocean and Santa Monica pier. Our run had amazing views and we completed 1 mile at 11:45 PM to continue the streak to 15 days!" "Much like my trail run, my running streak has come with obstacles. Shin splints are super annoying and almost brought me to a halt on more than one occasion. My biggest hurdle has been my day to day struggle with narcolepsy." 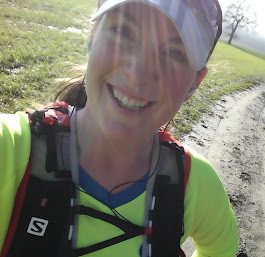 "Trying this run streak has given me a newfound motivation for the days when I don't really fancy going out (which is good as the weather has been awful recently!) and my fitness is improving much more quickly than it would have been had I been training four times a week." "When I suggested the Run Streak a month ago, I had no idea it would yield these results. I thought I would log my 1 mile and be done. I didn’t expect that I would actually develop a habit of running. And I certainly didn’t expect I would start to enjoy running." "Never try to run a mile after two shots of tequila and a plate of nachos referred to as 'dinner.' No matter how wedded you are to the idea of run-streaking, this is a BAD IDEA."